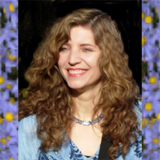 Dr. Christine Breese D.D., Ph.D.
internationally respected metaphysical teacher, meditation retreat facilitator, and founder of University of Metaphysical Sciences. to thousands of students worldwide. path to enlightenment and awakening. maintain that lucidity without falling back to sleep into the human condition.